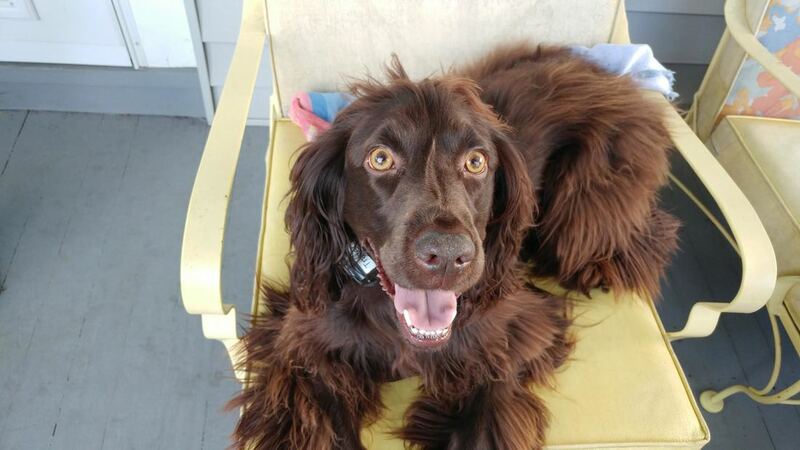 Tracer's Success Story - Boykin Spaniel Rescue, Inc. 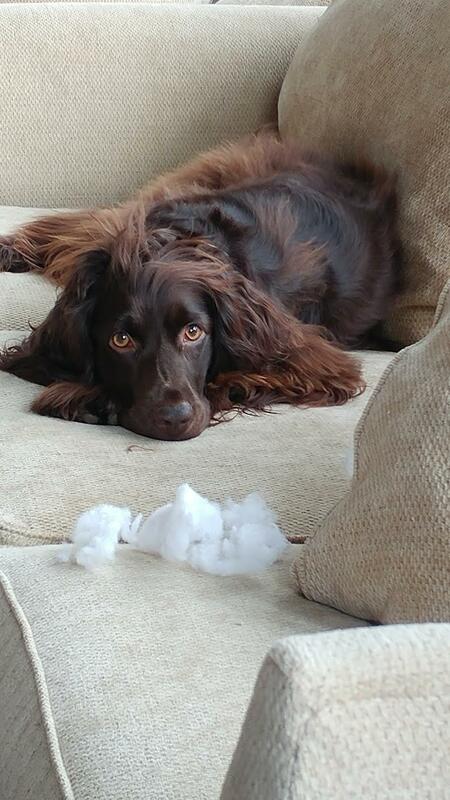 Original BSR Bio: Meet Tracer, a happy go lucky, gorgeous 1 year old, male Boykin just so full of puppy energy and love he can hardly stand it. 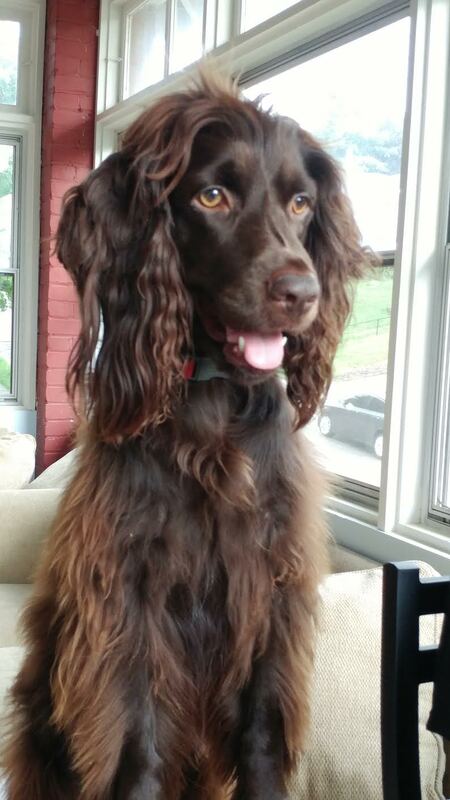 With a beautiful coat with lots of highlights, Tracer stands tall and proud on long legs. 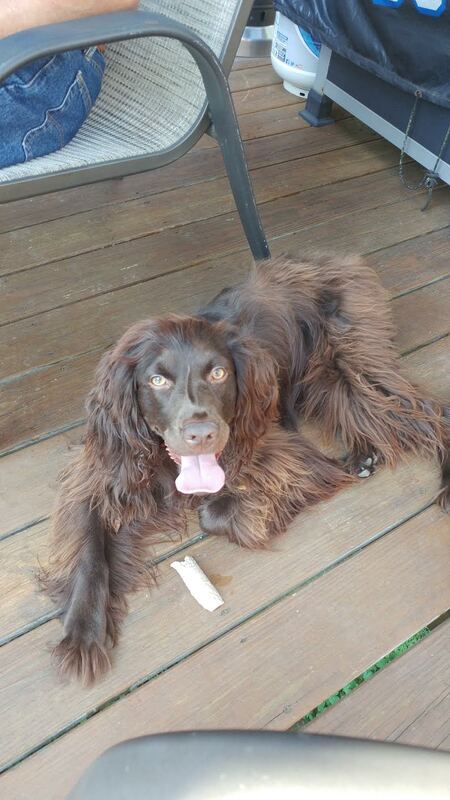 He has adapted extremely well to his foster family and shows potential for retrieving with the right training. Most of all he needs a firm but caring hand to continue his training and positively direct his high energy. Tracer has quickly learned the routine of his foster family, bonding with them, learning which door to ask to go out to do his business and what is acceptable. He is comfortable in his environment, loves to cuddle and always is looking to follow his foster dad. He can be groomed, picked up etc as long as he trusts his humans. He loves playing with other young dogs. With a ton of energy, Tracer runs full blast while playing and can sometimes run right into you! Helping him to manage this energy in a constructive way is essential for his well being. Helping him to trust people and situations will also be critical in his forever home. Tracer has some fear of children, strangers, vets and can show some fear aggression. He also has some mild separation anxiety which needs to be managed. All these issues can be overcome with patience, the right counter-conditioning and most of all bonding and trusting his new family. He has come a long way with his foster family. Of greatest concern, is Tracers’ tendency to swallow objects of all kinds which can lead to a life-threatening situation. 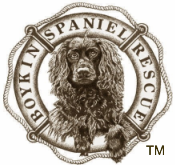 He will need someone who is willing to keep a tight routine and discipline with him, keeping him crated at night and when no one is home or able to keep eyes on him. Wire/metal type crates might not be the best. And he can’t have beds or anything to chew on. The perfect home for Tracer is one with someone who has the time and energy and love to dedicate to him. He can become a really good dog, but in the meantime, he needs eyes on him all the time, unless he is crated. A home with no children but possibly a young dog for him to play with. His new family needs to understand how to manage a dog with some fear anxiety. They need to understand dog behavior and practice good obedience and management techniques. They also need to be committed to giving Tracer lots of structured exercise opportunities and be willing to work with him and not just put him in the back yard to fend for himself. 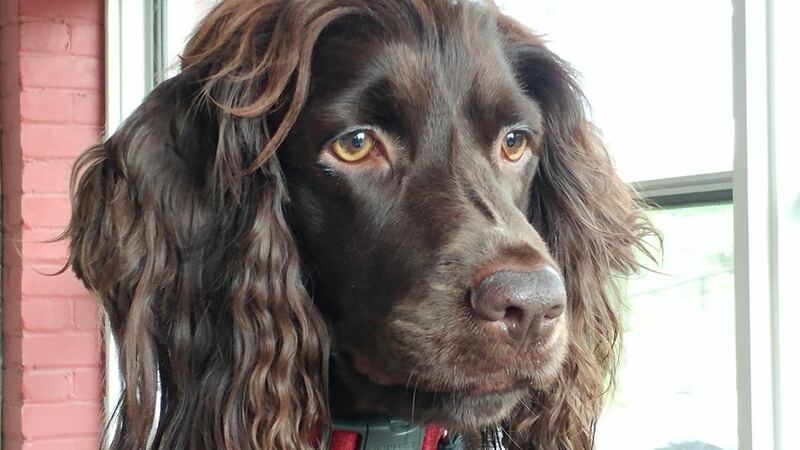 With the right direction, training, patience and love, Tracer will make a fabulous companion dog for some very lucky people.